US State Dept. 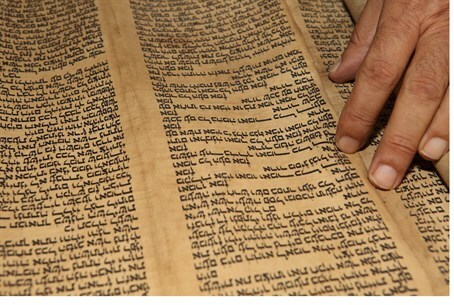 and Iraqi gov't reportedly reach last-minute agreement to keep thousands of Jewish documents in US - for now. A deal between the US State department and the Iraqi government appears to have been struck to keep the Iraqi-Jewish archive in the US, the World Organisation of Jews from Iraq (WOJI) has announced. The archive, as the collection of 2,700 restored Jewish books and thousands of documents is known, is due to return to Iraq after the 'Discovery and Recovery' exhibit at the Museum of Jewish Heritage in New York closes this week. Although the exact terms of the agreement are yet to be confirmed, the vast majority of the material that constitutes the Iraqi Jewish Archive will remain in the US for an unspecified period. It is thought that the extension will be for two years. The agreement comes after a firestorm of media controversy in the US and Canada, monitored closely by the Point of No Return blog, which documents developments related to the rights of Jewish refugees from Arab countries. A resolution calling for the original agreement to return the archive to be re-negotiated was approved by the US Senate and a second resolution is awaiting a vote in the House. Some duplicate Jewish books (such as the Aleph Bet primer, with more than 60 copies in the IJA collection) will be returned, as well as all the non-Jewish books and documents originally found with the IJA material in the basement of the secret police headquarters. WOJI says that these never belonged to Iraq’s Jewish Community in the first place, but were part of the Palestinian-Israeli Unit of the Iraqi intelligence HQ. However, a statement released by the Iraqi embassy in Washington gives the impression that all the material except for the 24 items belonging to the 'Discovery and Recovery' exhibit will be returned. This statement might have been phrased for home consumption. WOJI is reassuring its members that no duplicates will be returned if they have any kind of annotation written on any page. Such 'annotated' books have already been digitized. "We will work with the National Archives to identify duplicate items which can go back without controversy," Maurice Shohet, WOJI's chairman, has declared. Earlier this year the US Senate passed a unanimous resolution calling on the Obama administration to save the archive, which the US government spent some $3 million restoring the archive. Speaking to The Telegraph, Democratic Senator Chuck Schumer said the issue was one of human rights. "This is a group of people that have had so much of their history taken away or destroyed over the years, and under no circumstances should these artifacts be handed back to Iraq," he declared.